I hope you all, everywhere, had a lovely weekend. This was the first for me that truly felt like summer had arrived. I spent a couple of days out on Long Island where I shopped at the outlet mall ( great prices and no lines), walked on the beach, played with the kids, and enjoyed the company of great friends. Tomorrow it is off to Washington DC for a womens conference associated with the American Red Cross. 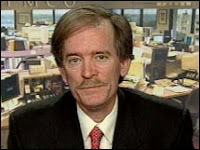 One must share piece is the latest from Bill Gross. Like usual I agree with what Bill has to say in that we are in a new world. It is not going to be business as usual and we are not going to just ease our way out of this recession. Sadly we are in DEEP and it is going to take a while to dig ourselves out. For the latest thinking of this investment guru click here. Have a great couple of days….